Are you searching for the best sales rep? Do you want to find someone who will help your team and company grow? If yes, then this sales rep recruiting article is for you. Here we are going to discuss some of the most important tips that you must keep in mind when it comes to hiring sales representative. We have also enlisted a few questions in the end so that you can ask them during the interview. These points are extremely helpful in the long run. So go ahead and read up! In order to hire sales reps, there are some essential points you need to remember. In this post, that is exactly what we are going to help you with. 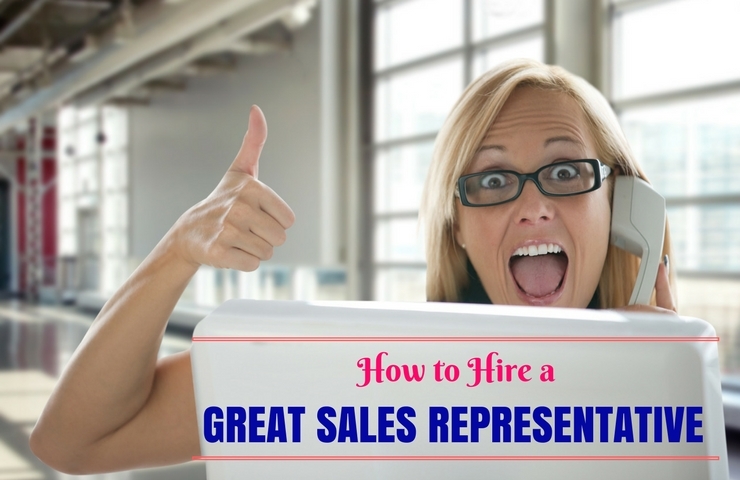 So keep reading in this article to find out what they are and what makes a good sales rep. When you hire candidates, you must make sure they have enough passion for sales. Also, I would suggest you to search for a person who seems passionate about the mission of the company etc. Next, you will have to test the passion which comes for selling these products. You should ask them what kind of books they have read regarding sales and if they have read blogs as well. Also, check if they find something exciting about sales. People usually tend to succeed when they have a good passion for sales and if they can be a good indicator in the future. This point is extremely important if you are looking for a person who has a great record for achievement. It really doesn’t matter which area these people belong to. It could be someone who has just finished college or people who have shown interest in academics. For this, all you have to do is take a good look at the resume of the person. Second, look at the grades and the magazines and check if the person has come out of college. You should ask them questions related to their accomplishments in the past and how they made it happen. Next, comes intellectual ability. To become a sales rep this one is extremely important and shouldn’t be missed out on at all. If you want to be coachable and have a good idea about sales, the rep must be intelligent. Sales are driven by data and can also analyse date which makes smarter decisions. Testing for intellectual ability is also important. You can see their previous experience and their academic performance so far. The candidate should also be able to explain products, ideology, technology which is quite unfamiliar. The question will also show you ways of gauging intelligence. Even though hard work is extremely important, you should always remember that a successful sales candidate who will help you find a great and healthy balance will help you get great results. It is certainly one of the best exercises that will help you test coachability during a sales representative interview. The person should possess great coaching ability. The coached sales teams must outperform the competition and improve the accuracy and forecasting. Developing professional skills is important so you should keep that in mind. Conscientiousness is something so essential that you just cannot miss out on it whatsoever. It means dependability and achievement. You can also look at it as hard work unless you have got it done. Candidates who are conscientious and goal oriented or hard working and consistent may have high expectations for themselves as well. When you find a candidate who perfectly fits the description, you may count on them which will help them set a high bar for themselves and make a great effort which can allow them to reach the bar. If you are ready to hire a person, you probably have to hire someone who knows how to handle the process of sales carefully. Even while there are a few people who have business contacts, there are some who have a good idea of what it really takes and what sales representative skills are required. You should make a list of what is needed including the specifics and the knowledge which is needed for the process of manufacturing. There are several entrepreneurs who hire people without even asking their customers how they want their vendors to sell to them. The more you find out about such environment, the better you will be able to handle the sales rep that you will be selling. Also remember that you are looking for someone who can handle interaction with such kinds of customers, telephone calling, building networks and customer advocates. This is probably the biggest mistake that most business owners will make when they are hiring people who understand the effort that is needed to sell their offerings. If you really believe that the service or the product will sell itself, then you shouldn’t be thinking about hiring a person not because you need them but because you will be fooling yourself in the process. Now that you have got hold of a proper and concise description of a job, you should contact the person you know so that you can find someone who has those essential characteristics. In fact, the whole procedure of writing the description could bring someone to mind. A persons referral from your colleague could definitely yield much better results than someone who wants to answer an advertisement. Even though not all business schools have proper sales courses and programs, they tend to become more popular. The graduates from all these programs will have incredibly higher success rates as compared to other students who have new sales that usually get exposed to a much broader range of concept of business. Next if there are six steps that have come up blank, you can simply run ads on industry publications and job boards. However, since you have written the perfect sales representative job description for sales representative jobs, there is very little chance that you will find some plan wrap resumes from every other person. Therefore you have to simply put into the whole process that will help you focus on who is a better candidate and who is simply sending out resume spams. Now that we have told you how to find the best sales reps for your office, check out some really important sales interview questions that can help you recruit the best sales reps. Read the points thoroughly and make sure to ask them during the interview. 1. What is your source of motivation? Money, helping customers and achievement are the three things that motivate a person. However, there are no fixed answers to the question. This is something you can still tell. What will make a good answer vs a bad answer will help you understand whether the person is suitable enough for your company or is an utter waste of time. For example, if the teamwork is important within the team of sales, a candidate will help you drive through competition which couldn’t be a great fit. 2. What is the ultimate career aspiration? There could be some lack of opportunities in terms of growth and it indeed is one of the biggest and most essential reasons that would cause some salesperson to search for a job depending on the survey sent from Glassdoor. In case the candidate shows you some desire to pursue one career that your company cannot provide, you could be interested in interviewing them sooner than what you like. 3. What role do you expect social media to play when it comes to the process of selling? Social selling is something which is extremely crucial in all of the industries. In case the candidate has not used any of the social channels which will help the research prospects or will help you look for some leads in the past. However, you have to find the willingness to learn. 4. What is the importance of content play when it comes to selling process? However, it is not at all necessary a deal breaker in case the person is not able to engage and share actively such content on their social media. However, they must show interest in being able to do so. Now that we are about to bring the article to a close, we have decided to give you some really quick sales tips and tricks on how you can find the best sales rep. For that, you will have to remember some essential points. Sales Representative salary is always good. You should not be afraid to pay a salesperson some good cash. You should remember that if you pay them well, they will work better. After all, they are great employees and can help your company grow as well. Several experts have done it for years and recommend others the same. You shouldn’t be too concerned about paying these sales people some big cash as they can really meet those targets. Nothing wrong with paying a good employee well! Think good, hard and long about the kind of person you want to work for you. Are you searching for a person who can handle customer relations, build them in the future and can keep up with the expectations that you have from them. Is that what you are looking for? Or are you searching for a person who is not from the sales industry? All of this will influence you with the kind of person you are searching for. Also, you should remember that good salespeople are rare. However, this is not all that true. Most people who belong to sales are underachieved and the majority simply get by. They have a few shining stars which are far and in between. First and foremost, they should have some ambition and drive. They should be driven towards success, must be competitive towards nature and must do whatever it takes to get their job done right. They must also follow ethical guidelines etc. Secondly, they should be positive people and must have an optimistic nature as well. They must also be resilient people who can deal with challenges, fears and rejection as well. They may also be able to generate their mental strength and energy at the same time. Also, check if they are curious people. They must be lifelong learners who always feel the need to try new stuff. They must be asking questions as well. Finally, there must be some sense of empathy. Never forget to use networking. It is always useful and helps you find the right kind of people. Also, make sure to get hold of some employee referrals as well. Your close friends may help you a lot in cases like these. There are chances that the top reps will hang out with people who are similar to them and that could be a great investment and a massive opportunity to find talent. This brings the article to an end. If you have enjoyed reading the post and would like to find some more help, kindly drop a comment in the box below. We will get back to you soon. Also if you have some feedback and questions in mind, go ahead and ask them as well. Just remember to make them go through a few rounds before you make the final decision. All of this matters a lot when you are searching for the right candidate.